Ryan Lahti, Managing Principal of OrgLeader. The authoritative source for Ryan Lahti's professional information, links, and social activity. The latest Tweets from Ryan Lahti (@RyanLahti). As the founder and managing principal of OrgLeader, Ryan Lahti optimizes the performance of STEM organizations and the leaders who run them. Newport Beach, CA. Ryan Lahti’s Posts & Activity. ... Ryan’s work concentrates on STEM organizations at the middle-market and Forbes Global 2000 levels. ... In his spare time, Ryan has taught executive MBA and MBA courses on leadership, team dynamics and organizational behavior. 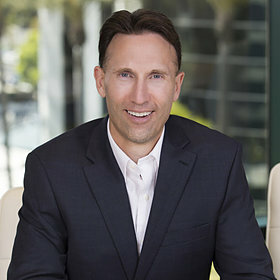 Ryan K. Lahti is a management consultant currently employed by the Hay Group's Organizational Effectiveness and Management Development practice in Los Angeles, California. Michael M. Beyerlein is the director of the Center for the Study of Work Teams and a professor of psychology at the University of North Texas. Ryan Lahti. Founder and managing principal of OrgLeader, optimizing the performance of STEM organizations and the leaders who run them. Knowledge transfer and management consulting: A look at "The Firm"